The copy reads, "Amplify your vision wth panoramic lenses". 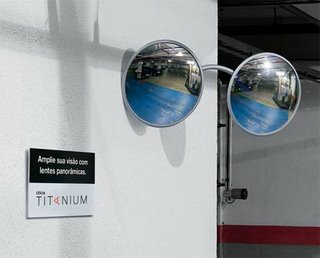 More pictures at Adverbox. 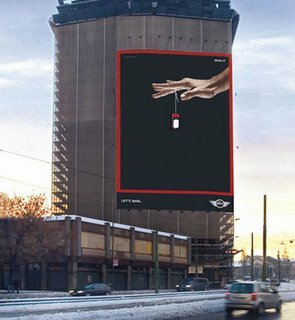 Another mind-blowing billboard for MINI, this time from Italy. 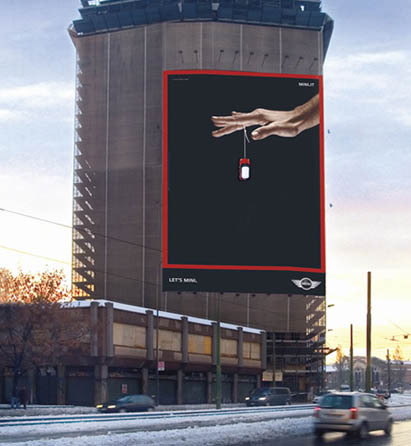 A fiberglass mini attached to a moving ramp to create the Yo-Yo effect. More at Frederik Samuel's. 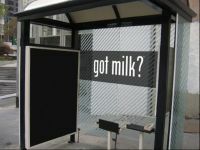 California Milk Processor Board put up billboards that emitted the smell of chocolate chip cookies to advertise milk. As one blog reader mentioned, "NPR did person-on-the-street interviews at one of the shelters, and nobody wanted milk; everyone wanted cookies." Have a feeling I've seen something similar already, but can't find it. 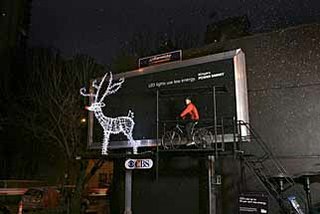 120 volunteers powered an illuminated billboard for BC Hydro in Canada. Cardboard hookers on Israeli streets protesting rising rent prices. Compare to the mannequin march promoting a piece of real estate. 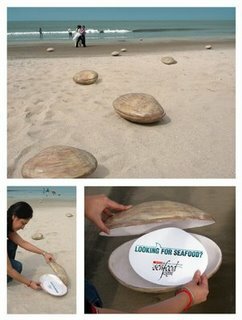 Giant though artificial clamshells were placed on Mumbai beaches to promote a seafood restaurant.